Sandra Orihuela is the founder of this legal boutique specializing in corporate international matters, anti-bribery prevention and compliance. As a dual licensed attorney in the United States and Peru, Ms. Orihuela actively manages legal work for the firm, representing U.S., Canadian, Japanese and U.K. entities investing in Peru and throughout Latin America from diverse industries, including pharmaceuticals, construction, oil & gas, mining, engineering, agriculture, technology, media and communications, consumer products and retail businesses. Ms. Orihuela is a regional expert and go-to counsel on an array of anti-corruption and compliance matters, from the assessment and design of comprehensive corporate compliance programs to oversight of remediation and crisis management plans, while conducting internal investigations alongside forensic teams and implementing tailored internal policies. Her expertise includes preventive matters under the FCPA and the U.S. Sentencing Guidelines, as well as enhanced internal controls and best corporate governance practices under Dodd-Frank, Sarbanes-Oxley, AML standards and local/in-country regulations. She has a strong corporate international background, including structuring and implementing complex cross-border acquisitions, addressing international tax issues, trade, labor, customs, environmental, foreign investment protections, multi-country regulatory matters, intricate arbitration litigation and dispute resolution. Ms. Orihuela also has extensive experience in mining related matters, having been involved directly in all stages of a mining project from the confidentiality agreement phase, through the exploration, environmental impact study, production, NSRs, streaming, construction and development, mine life extension and resource expansion phases. Her multi-industry knowledge, in-depth corporate compliance expertise and domain of both, civil and common law legal matters and cultures, provides clients with efficient and dynamic solutions for their ongoing corporate needs. Serving in a role similar to in-house counsel for most of the firm’s clients, Ms. Orihuela provides hands-on expertise, strategic planning, direction and oversight of legal matters. Prior to founding the firm, Ms. Orihuela worked at top tier U.S. law firms and in-house for a Canadian multinational. She has participated in cross-border projects in Asia, Europe, Latin America, Canada and the United States. Ms. Orihuela is a registered arbitrator before the Lima Chamber of Commerce (Camara de Comercio de Lima). She is a frequent writer and speaker at international forums, and has been recognized as a leading international lawyer by several reputable organizations, including Chambers & Partners, a global guide of best lawyers and law firms. International Chamber of Commerce (Paris, France) – Arbitrator Training. International Anti-Corruption Academy (“IACA”) (Vienna, Austria) – Legal Incentives for Corporate Integrity Training. American University, Washington College of Law (Washington DC, USA) – U.S. and International Anti-Corruption Law Program. Sandra Orihuela splits her time between Lima and Miami. 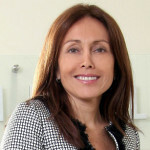 As a dual-qualified lawyer in Peru and Colorado, her knowledge of the US and Peruvian market is invaluable to North American investors into the region: “She has a great understanding of North American and South American business cultures, enabling her to iron out any misunderstandings.” Her corporate knowledge is particularly strong in the mining sector, having worked in-house at Placer Dome Latin America.